Hertz offers car rental services in Frankfurt, the fifth largest city in Germany and arguably the most important, in terms of trade and finance. Frankfurt has more to offer than gleaming skyscrapers, European Central Bank and expensive restaurants. Behind its shiny facade are medieval neighbourhoods, inviting parks perfect for a picnic and surprisingly healthy outdoor living. Sachsenhausen is a charming area with cobbled streets and many museums by Schaumainkai. North of central Frankfurt lies Bornheim, nicknamed das Lustige Dorf – the funny village. It is the city’s most densely populated area and has recently seen an influx in bohemian-chic. Westend is comparable to London’s fashionable West End. Flughafen Frankfurt Main is located twelve kilometres from the city centre and is the second largest airport in Europe whilst Hahn Airport, which also serves Frankfurt, is located 110 kilometres to the west of the city. 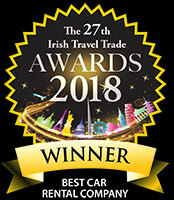 With Hertz car hire you can ensure you get to and from the airports with ease and also give yourself the opportunity to explore all that this beautiful city and its surrounds have to offer.